A new sculpture has been unveiled in the Chatsworth Garden as part of the Derbyshire estate’s new exhibition opening. Artist Ben Long was commissioned to create the new piece for ‘The Dog: A Celebration at Chatsworth’ creating a playful and alert sculpture of a dog constructed entirely from metal scaffolding. Dog Scaffolding Sculpture by Ben Long has pride of place in the Chatsworth grounds. 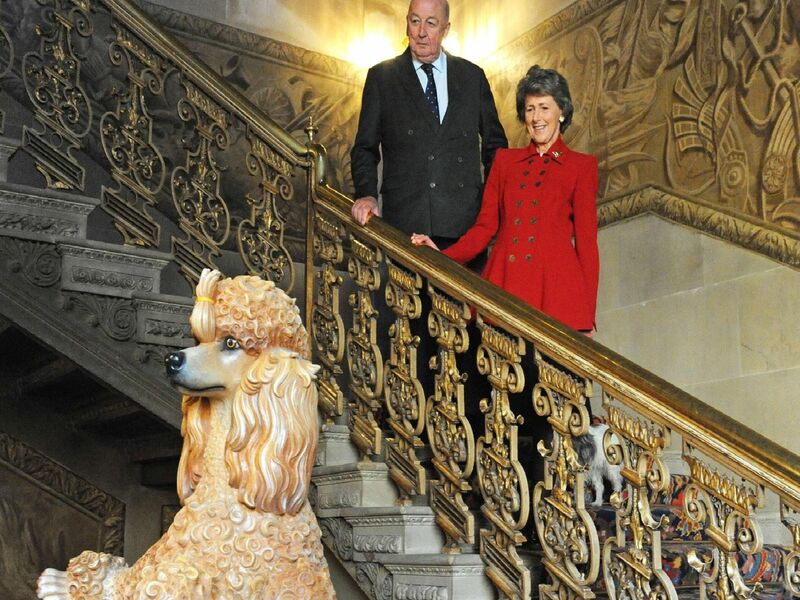 Artist Ben Long and the Duke and Duchess of Devonshire swap dog stories at the Dog Scaffolding Sculpture which has pride of place in the Chatsworth grounds. Bashaw The Faithful Friend of Man by Matthew Cotes Wyatt takes centre stage in the sculpture room at Chatsworth.